Properties in Anza Borrego Desert State Park average 4.7 out of 5 stars. Property 5: Borrego Springs Home w/ Desert & Mountain Views! 3BR Resort-Style House on Rams Hill Golf Club! Property 7: 3BR Resort-Style House on Rams Hill Golf Club! Studio with pool, surrounded by desert. Property 8: Studio with pool, surrounded by desert. Property 11: 2 Suite Condo, 2 Pools, Tranquil, "Downtown" Suddenly Available 2/19-3/10! New! 2BR Borrego Springs Condo w/ Patio & Views! Property 13: New! 2BR Borrego Springs Condo w/ Patio & Views! Large Custom Luxury Rams Hill Golf Course Home! Loaded with great amenities! Property 14: Large Custom Luxury Rams Hill Golf Course Home! Loaded with great amenities! Property 16: 4 Bedroom, 2 Bath House On The Club Circle Golf Course With Stunning Views! 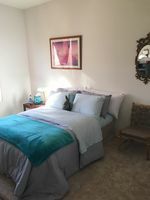 Borrego Springs Condo w/Desert & Mtn Views! Property 20: Borrego Springs Condo w/Desert & Mtn Views! Property 23: DON'T MISS THIS OPPORTUNITY! RAMS HILL, LARGE EXECUTIVE POOL HOME, VIEWS-VIEWS! De Anza Country Club; Mid Century Home With Pool! Property 28: De Anza Country Club; Mid Century Home With Pool! 5BR Borrego Springs House w/ Private Pool! Property 29: 5BR Borrego Springs House w/ Private Pool! Rams Hill House With Great Views Of Course And Water. Property 31: Rams Hill House With Great Views Of Course And Water. Borrego Springs Condo w/Pool Access in Rams Hill! Property 33: Borrego Springs Condo w/Pool Access in Rams Hill! Riviera Farms, Gracious, Large, Family Friendly, Amenity Filled, Home. Property 38: Riviera Farms, Gracious, Large, Family Friendly, Amenity Filled, Home. Property 39: Mid-Century Modern Home with Private Pool, Grand Views, Steps from State Park! Property 42: Borrego Springs Townhome by Rams Hill Golf Course! Property 47: Desert Rose - Anza Borrego State Park Shangri-La "Glamping"
Wonderful and fun vacation home. Enjoyed playing billiards, driving the golf cart, playing foosball and cooking on the gas grill. The golf course also has swimming pools - but didn't get a chance to try them. The desert wildflowers were in full bloom and took great hikes! Highly recommended.